Print media in form of film books, magazines, newspapers, booklets and film posters was geared up with the inception of film itself. Primarily it was and is being used for advertisement of particular film or artist. As it is said that advertisement plays a very vital role in the success of any film project so lot of emphasis is laid to this aspect while preparing film posters, booklet etc. in context of preservation of historical aspects of some film or artist best tool in form of books and magazines is being used. The two parts provide complete list of songs, poets and singers, excluding the double version films of the latter period. Ashar collected audio CDs, records, and booklets of Pakistani and subcontinent films for the purpose. the mark as this weekly film newspaper is still being published under what so ever situation. The first of its kind, this book presents a wide selection of scholarly research, literary essays, memoirs, polemics, journalistic writings, and rare visual material relating to film and cinephilia in Pakistan. 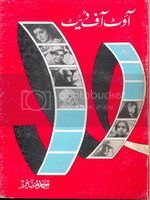 Much of the content is historically significant and includes annotated abridgements of rare and out-of-print publications on the film industrys early years in Lahore, Karachi, and Dhaka. Broad in temporal scope, Cinema and Society encompasses the golden age of Urdu cinema, Punjabi and Pashto popular film since the 1980s, as well as more recent developments relating to the revival of filmmaking in Pakistan. Aesthetics, technology and cinematic form are addressed in studies of individual films as well as wider explorations of diverse genres such as melodrama, horror, and action. Film content, production, exhibition, and distribution are analysed in relation to political, historical, and social change. Of the numerous issues tackled, nationalism, class, religious identity, violence, gender and sexuality, language, ethnicity, and urbanization are just a few. Also noteworthy are discussions of Indian cinema from a Pakistani perspective and the placement of film within its broader relationship to literature, theatre, music, and other media. Together with richly evocative photo essays that document the little known working lives of filmmaking casts and crews, Cinema and Society establishes Pakistani film and cinephilia as national and regional phenomena worthy of global attention. 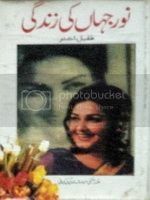 Pakistani Urdu filmi geeton ka safar, 1971-1997 is the second book by Fayaz Ahmed Ashar which is being published by Maqsood Publishers Urdu Bazar Lahore. 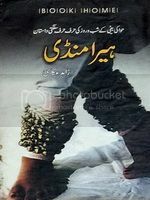 This book is sequal to first book of auther named Pakistani Urdu filmi geeton Ka Safar which was published in 2011. The two parts provide complete list of songs, poets and singers, excluding the double version films of the latter period. Ashar collected audio CDs, records, and booklets of Pakistani and subcontinent films for the purpose. The National Institute of Folk and Traditional Heritage (Lok Virsa) launched an exclusive book on Pakistani cinematic history titled Journey Through Lens at Alhamra Arts Council on February 7. Written by Aijaz Gull and Jamal Sohail, the book focuses on creation and development of the film industry in Pakistan which is an essential part of our national cultural heritage. It also tracks the history of cinema in the subcontinent from 1906 when the first film shots were screened in a Mumbai hotel.Executive Director Dr Fouzia Saeed welcomed the guests at the inauguration ceremony. Leading personalities from different walks of life including Saleema Hashmi, Syed Noor, Bahar Begum, Naghma Begum and trade expert Nadeem Mandviwala attended the ceremony and shared their own experiences of the industry. According to Authors Gull and Sohail said that the book works both as a reference and a text book by providing extensive information on films. It does not only cater to the needs of film historians and critics but is also a valuable source for media and film students as well as enthusiasts. As there has not been much written on the film industry in Pakistan, this book is a modest attempt to take the readers on a joyful ride. Its bound to make you laugh, feel romantic and might also make your eyes water. 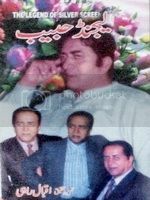 Renowned singer Dr. Amjad Pervez, Ni Sassiye Tera Luteya Shehr Bhambor song fame is the author of this beautiful book in which he has thrown light on the glaring aspects on the credentials of famous singers. 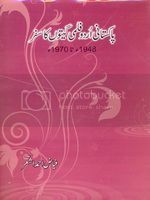 Basically Dr. Naveed Shehzad has upgraded his previous book published on same name in which he has collected songs of Punjabi films from 1947 to 1977. In his new book he has added the songs of Punjabi films from 1947 to 1997. A very good book which is must for every film study student. Waheed Murad His life and our times is book which is presenting the complete biography of renowned film actor Waheed Murad which cover the diverse aspects of his enchanting personality - filmmaker, writer, superstar and the man behind the legend. Within these pages of book reader will discover his unique vision for an ideal world.... one that can be created through love and a strong will, where intellect and reason have failed to do so. Muhammad Ibrahim Zia, the author of the book describes about the artists including Bollywood film stars who hailed from Peshawar city and around. Before Partition, some of the artists who played a significant role in the Indian film industry were from present-day Khyber Pakhtunkhwa. Even after Partition, the culturally rich and fertile soil of the historic Peshawar city in particular and Khyber Pakhtunkhwa in general produced noted artists of theatre and film who contributed immensely to the Pakistan film industry. Rangeela, Muhammad Qavi Khan, Firdous Jamal, Badar Munir, Surreya Khan, Asif Khan, Yasmin Khan, Ajab Gul and Arbaz Khan are just a few. Peshawar Ke Fankar is an interesting read for enthusiasts of the history of cinema and theatre. The author says that there are more than a hundred artists, singers and music composers from Khyber Pakhtunkhwa who have contributed to Bollywood but unfortunately, he could only gather verifiable information about some of them. Muhammad Ibrahim Zia has previously written books on history, calligraphy and painting and has now come out with Peshawar ke Fankaar: Theatre Aur Filmon Main. The book profiles about 50 actors including Bollywood film stars who hailed from Peshawar city and around. Before Partition, some of the artists who played a significant role in the Indian film industry were from present-day Khyber Pakhtunkhwa. Agha Fazal Ali Shah set up the first theatre in Peshawar in 1915 and staged successful Urdu plays. 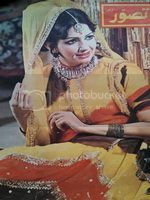 Qamar Sarhadi, Qazi Rafiq, Harbans Lal, Abdul Sattar, Habib Sarhadi, M. Aslam, Miss Mubarak, Zuhra Madhvi, Master Fazal Elahi, Miss Almas, Bahadur Ali and Andaleeb Durrani were some of the theatre actors who garnered widespread fame. In the early years of the 20th century, a mobile theatre used to stage plays in open spaces. In the 1920s a regular theatre hall outside Bajauri gate in Peshawar was built and staged plays till 1942. 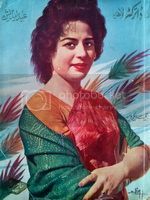 Laila Majoon and Dharti Mataa were among the most popular plays in which Master Khuda Bakhsh played lead roles. In 1913, the first full-length silent feature film, Raja Hariash Chander, was screened in Olympia cinema in Mumbai and Alam Ara was the first sound or talking feature film. The talking movies brought complete silence to the once noisy theatres of Peshawar as most of the stage artists thronged to Mumbai for a brighter film career. Prithviraj Kapoor, the father of Raj Kapoor, Wazir Mohammad Khan and Mehboob Khan were from Peshawar who made it in Bollywood film industry. 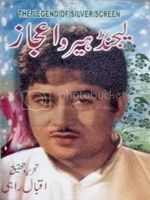 Wazir Mohammad Khan had sung for Alam Ara. The first screening of a sound film in Peshawar was at the Imperial Theatre in the Qissa Khawani Bazaar in 1926. 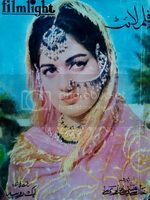 Madhubala (Mumtaz Jehan Begum) belonged to the Yousafzai tribe of district Swabi and was a fluent Pashto speaker. She began her acting career at the age of eight in the film Basant. Bollywood superstar Amjad Khan, another famous Bollywood actor, used to visit his paternal grandparents in Peshawar till 1965. Superstar Shahrukh Khans father Taj Mohammad Khan was also from Peshawar. He moved to Delhi after Partition while his brothers stayed back. Khan visited Peshawar several times during his school years. Similarly, Dilip Kumar and Raj Kapoors families have also visited Peshawar on more than one occasion too as this is where their ancestral homes were. Even after Partition, the culturally rich and fertile soil of the historic Peshawar city in particular and Khyber Pakhtunkhwa in general produced noted artists of theatre and film who contributed immensely to the Pakistan film industry. Rangeela, Mohammad Qavi Khan, Firdous Jamal, Badar Munir, Suriya Khan, Asif Khan, Yasmin Khan, Ajab Gul and Arbaz Khan are just a few. Pervez Rahi threw light on the life of Drama writer and pioneer of theater in Sub-continent Agha Hashar Kashmiri and Mukhtar Begum. 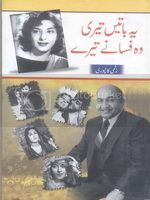 It is Dr. Naveed Shehzad first book in which he has collected songs of Punjabi films from 1947 to 1977. 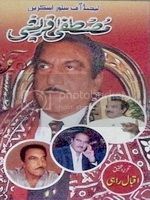 Sindh Talkies is a book on the history of Sindhi films complied by Dr Mehmood Mughal who took almost 15 years in formulation of the book. The book is published by the Endowment Fund Trust (EFT) for Preservation of the Heritage of Sindh. Sindh Talkies is a wonderful collection of information about Sindhi cinematic work. We are highly indebted to your good self for sending the book, indeed it is piece of art which is felt mandatory for any reasonable library. At the end as request was made on telephone as well, please consider it as there is dire need for English (or Urdu) translation of the book. As recognition to your meticulous efforts we intend publishing a special page dedicating to Sindh Talkies. A book on the history of Sindhi films, Sindh Talkies, by Dr Mehmood Mughal was launched at the Arts Council on Friday evening. The programme began with a fascinating documentary on Sindhi films produced by Ghulam Mustafa Solangi. Intelligently, before throwing light on the movies, the documentary enlightened the viewers on the genesis of cinema in the Indian subcontinent, giving information on the first silent Indian film Raja Harishchandra (1913) and the first talkie Alam Ara (1924). The documentary then went on to focus on films made in Sindhi, the first being Ekta (1940) directed by Homi Wadia; and the last Sindhi film was titled Himmat (1997). In between that period, many commercially successful films were made, including Pardesi, Sassi Punho, Umar Marvi, Noorji Jam Tamachi, etc. Some interesting nuggets of information were also shared in the documentary. For example, Umar Marvi was the first golden jubilee project in the Sindhi language. 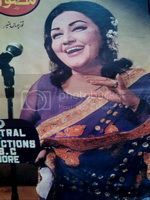 Shero Feroz (1968) had the likes of Runa Laila and Mohammad Yousuf as its playback singers. It was also mentioned that the legendary Madam Noor Jehan sang in Sindhi, and that writers like Amar Jaleel and Agha Saleem wrote dialogue for Sindhi movies. Apart from that, the documentary had interviews of famous yesteryear actors Waseem and Saeeda. Dawn Media Group CEO Hameed Haroon, who was the keynote speaker at the book launch, congratulated Dr Mughal for putting together an important book that he said was not an easy task. Referring to the documentary that preceded his speech, he said the occasion was both happy and sad because Sindhi cinema would soon fade away from memories, which was why it was important to digitally restore it. He said Sindhi cinema was stretched over a period of 40 to 45 years in which more than 70 films were made; and till the 1970s and 80s it became barely visible to viewers. On behalf of the trustees of the Endowment Fund Trust (EFT) for Preservation of the Heritage of Sindh, which has published the book, he appealed to the government of Sindh and its departments concerned to digitise Sindhi cinema and set aside funds for it. He also stressed the need for an English translation of the book in collaboration with Dr Mughal. Going down memory lane, Mr Haroon said his first memory of a Sindhi film was of the 1950s. He was four years old when his parents took him to Eastern Film Studio to see Sassi Punho. 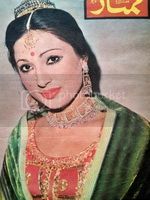 He recalled Nighat Sultana playing the lead role of Sassi in the film. He put down the fading away of Sindhi cinema to two things: one, the decline of Karachi as a production centre and two, the changing nature and character of the Sindhi films over the years because of which families stopped watching the movies. As a result, the artists and technicians either went into mainstream cinema or joined television. Television killed Sindhi cinema, he remarked and stressed let us save what we have. The keynote address was followed by a soul-stirring rendition of Shah jo vai by Zulfiqar Ali and Mazhar Husain who belong to the Gwalior gharana. Then Dr Qasim Rajpar read out a paper in which he touched upon the different research works done in India and Pakistan on Sindhi drama and films. Highlighting Dr Mughals achievements, he said it was data journalism and the marked feature of it was the sketches (khaakay) of some individuals such as Rashid Ahmed Lashari and Sheikh Ayaz. He termed it a great contribution. He also pointed out one or two mistakes in the book. Dr Mughal said writing the book was a 15-year journey. He told the audience, which by the time the launch had gone half way through had filled the venue hall, that he was an MBBS and at the same time had a profound interest in arts and literature (ilm o adab). He said both his parents were learned individuals. It was in 1954 that his family bought a radio set, and he would listen to the radio for long hours. There he discovered that music was in his genes. Later, he said, he read a book and found out that the Indian playback singer, Mukesh, had sung 913 songs, 800 of which were hit songs. This made him think about the legacy of Sindhi films, he added. He said while he was researching on the subject, he read each and every page of no fewer than 70 newspapers and collected more than 4,000 photographs. He thanked quite a few people who helped him complete his work. Mazharul Haq Siddiqui, in his presidential address, showered praise on Dr Mughal saying that of many qualities that he had, it was his humble nature (ijz) that stood out. He said Dr Mughal did his work with responsibility and care. He had a degree in science, but had an interest in arts and had been the director of physical education and sports at the institution where he taught, he said. Yasir Qazi conducted the programme that was organised by the EFT and the Arts Council. Shabnam Shakil in her own simple way describes the life story of renowned singers of Sub-continent with emphasis to their work. 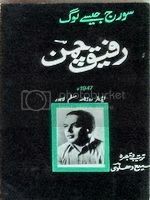 Filmon Ki Duniya Ke 111 Saal is the second book written by Sajjad Ahmed Sajjad. In book the writer has given an elaboration of history of film making in very befitting manner. He started with the invention of photograph to projector chronologically. In succeeding chapters he gave beautiful review of different films produced in Hollywood, Bollywood and Lollywood in critical fashion which started with film The Great Train Robbery (1903 film). 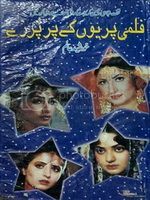 A film directory is published by Yasin Goriya as Pakistan Millennium Film Directory in which he covered the history of films in not only in Pakistan after 1947 but he has also thrown light on the films produced pre-partition as well. Mushtaq Gazdar was a Pakistani cinematographer, who during his lifetime scripted, directed and produced around 190 short feature films, documentaries and newsreels on different subjects. 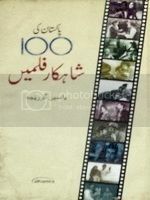 He had also to his credit a voluminous book Pakistani Cinema: 1947-1997, a historical and critical study of Pakistan's film industry, published in 1997 to commemorate Pakistan's 50th anniversary. Featuring over 100 color and black-and-white photographs, this is the most comprehensive account of Pakistani cinema yet written. Narration of different real time cinematic events, incidents and run down of films, artists of filmdom with by Ali Sufiyan Afaqi. 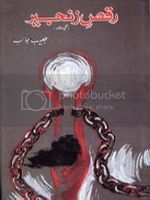 It was initially published in monthly Sarguzasht and subsequently in Family magazine in which he was doing as Editor of the magazine. In Geetan Di Gounj writer has cover the details of Punjabi lyricists who have written songs form Punjabi films from 1947 to 2006. He is covered almost all poets of that era along with the details of Punjabi songs of films released during said period. Tufail Akhtar Dada penned down life, struggle history of Bashir Niaz who was basically dialogues writer but also written story of 250 films. Articles written on Bashir Niaz by other writers are also included in book..
A tribute to Malika-e-Tarrunam Noor Jahan. Historical perspective of film production in Punjab specifically in Lahore, how and who started it off from Lahore right from its inception after its introduction in Sub-continent. Zakhmi Kanpur throws remembering artist of sub-continent In his own natural style. Dr. Muhammad Athar Masood throws light on the history of music specifically in Sub-continent while incorporating search papers of historians. 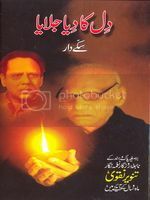 A biography of A. R. Kardar who was pioneer of films production, acting and photography in Lahore was penned down by Pervez Rahi. In this book he threw light on his personal life, his efforts, struggle for film production in Lahore and afterward in Bombay. 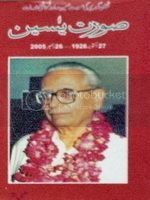 Pervez Rahi also included the articles by other writer about A. R. Kardar in this book. Zakhmi Kanpuri elaborate the work and life history of film related female artists. 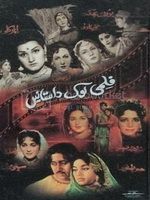 In Filmi Lok Dastane, Pervez Rahi has given the details of films which were produced on the story of famous local folk tales like Heer Ranjha, Laila Majnu, Sassi Punnu, Mirza Sahiba etc. He has included all films which were ever produced right from the inception till the year in which book was published. Khursheed Alam gave the status of matrimonial life of film actresses, he very bluntly expressed the reasons behind those marriages and cause for their failure terminations. Khursheed Alam once again used his pen against the disloyality / bitrayl stories of once laeading film actresses, he very bluntly expressed the reasons behind those affairs and cause for their failure terminations. 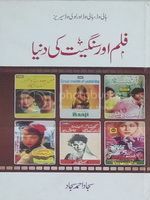 History of Punjabi films is well elaborated in this book named Punjabi Filmon Ka Safar by Pervez Rahi. Veteran film historian and journalist Yasin Gorija list out hundred best films in his point of view and gave the account of said films in this book. 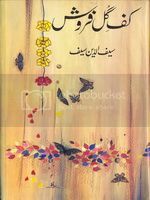 Ali Sufiyan Afaqi in his beautiful way gave some glimpse of personal life of Malika-e-Tarrunam Noor Jahan in this book. Publisher - Uni Star Books, India. Renowned film journalist Iqbal Rahi encompasses life and work of legendary artist Mustafa Qureshi. Renowned film journalist Iqbal Rahi gave an account of life and film work of legendary artist Habib. Film journalist Iqbal Rahi throwing light on the life and film work of legendary handsome artist Ejaz. Film journalist Tufail Akhtar Dada remembering the life and film work of some artists those who are no more with us but their work performance will live forever. These artists include Sultan Rahi, Munawar Zarif, Tahira Naqvi and Rangeela etc. Film journalist Tufail Akhtar Dada revives Malika e Tarrunam Noor Jahan in his own way specifically some of her grey nodes of her life. He has included some articles written by other writers throwing light on the same aspect of Noor Jahan in his book. Malik Shahzad Saddique highlights work of Film journalist Tufail Akhtar Dada as film journalist in his book. Film journalist Tufail Akhtar Dada remembers his almost life time companion and one of the pioneer film journalist of Pakistan Yasin Gorija. This time Tufail Akhtar Dada tries to give an account of life and film work of legendary artist Malika e Tarrunam Noor Jahan. Renowned journalist Sami Dehlvi thre some light on Islam film producer Mr. Rafiq Chaman who produced first patriotic film Kashmir Hama Hai and then Allah o Akbar. 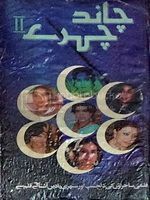 Selected poetry and film songs penned downed by Habib Jalib are collected here in this book which was named on his famous song Raqas e Zangeer pehan kar bhi keya jata hai which was based on famous incident which happed with former film actress Neelo. First English film directory covering period from 1947 to 1987 by Karachi based writer Mr. A. R. Slote. 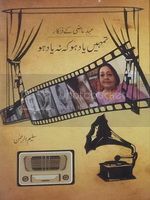 A very comprehensive book on the Urdu film songs from 1948 to 1970 by Fayaz Ahmed Ashar, an excellent research and authentic work by the author. Munir A. Munir's interviews of few former film actors and actress like Ragni, M. Ajmal etc in his own and natural way of writing. Writer Sikkedar has written account of renowned poet Tanvir Naqvi's life and work. Peotry and songs of writer and lyricist Saif ud Din Saif. Book written by former film director Qadeer Ghori about techniques of film making and elaborated different departments of film production. One time collegue of renowned film director Shabab Keranvi, Agha Jamsheri has pen downed miscellaneous aspects of said director. In his own style Munir Ahmed Munir has published his interview with former renowned film comedian Asif Jah, a worth reading book. After separation with Noor Jahan, her former husband Syed Shoukat Hussain Rizvi gave a detailed interview to writer and columnist Munir A. Munir in response to the allegations imposed by Noor Jahan. Subsequently, Munir A. Munir published the interviews in a book form named Noor Jahan, Meri Kahani Meri Zubani. Zakhmi Kanpuri gave film reviews of his selected film. A. R. Gul describes the life account, struggle and success of actress Saima. An introductory account of life of Heera Mandi, dancing girls and prostitutes. 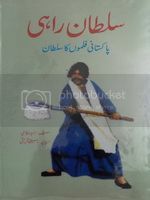 A biography of legend of Pakistan Film Industry Sultan Rahi is comprehensively described by Zahid Akasi in his book named Sultan Rahi. In this book he has narrated the life story of legend complete account of his struggle from an extra to super star of same industry. And because of this industry, his devotion and dedication for cinematic, his name was included in gunnies book of world records. 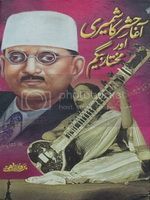 A biographical account of legendary singer of Sub continent Malika e Tarrunm Noor Jahan was presented by Yasin Gorija in his natural way of writing. He accomplished the personal life of Noor Jahan is very befitting manner with illustration of her few rare pictures. 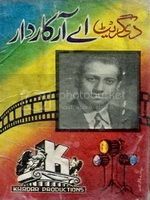 A chronological account of films released year wise from 1947 to 2005 was started by Yasin Gorija but is was not finalized once he died so his companion Tufail Akhtar Dada resumed the research and finalized the book with the name Pakistan Cinema Ki Aadhi Sadi. Sajjad Ahmed Sajjad gave some real facts about singers, songs and background factual position and situation of songs in different films. Saleem ur Rehman describes unknown facts and remembers some old artists of cinematic with specific leverage to singers. 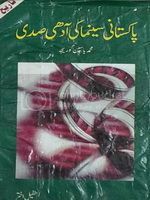 Ali Sufian Afaqi under cover of Ashna ke qalam se, gave an account of real life of cinematic celebrities without hiding any real information/facts in his own beautiful and consistent way of writing which indeed attract the readers mind who is unable to leave the chapter without finishing it off. Lakshami Chowk was once hub of all literary activities which included writers, performing art, acting and above of all films. Mostly film production offices was here at this chowk (Royal Park) so many renowned artists started their career from this place. So Yasin Gorija who was also stationed in nearby vicinity of this chowk and during this stay hesaw many people coming here and entered into the magic world of cinematic, subsequently converted into person and then Very Important Persons. So he gave their accounts and named his creation as Lakshami Chowk. Introductory essays about film and TV artists. Anwar Farhad has combined the life story of Pakistans number 1 comedian in very attractive sequence. One may call biography of Rangeela. Basically it is Punjabi magazine which is consisting of Punjabi articles by different writers. 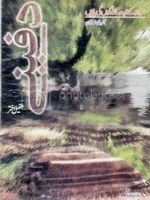 This issue is focused on the life and work of renowned poet and lyricist Ahmed Rahi. Pen picture of different Pakistani and Indian leading film artists is encompassed by Umer Khatab. Raza Ali Abidi gave glimps about film lyricist of Pakistani films. Muhammad Mumtaz Rashid gave glimps about film lyricist of Pakistani films. Saeed ul Hassan is giving the brief introduction of film related personalities in collaboration of Muhammad Sarwar Jora. Pakhtoon film journalist A. R. Gul following the footsteps of Yasin Gorijas life time presentation his directory, penned down the same directory pertaining to Pashto films and its artists covering period from its inception till 2000. Other than introduction about Pashto artists, he has given the complete details of Pashto film produced and released in said era. 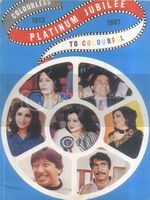 Raza Hashmi who is residing there at Uk for longtime now is remembering few artists through this book. Pages - Mostly consist of four pages. Nigar newspaper was founded by Mr. Ilyas Rashidi after getting inspired from film magazine Film Fare from Karachi. After his death in August 1997, his son Aslam Ilyas Rasheedi is continuing his inheritance. This oldest film base newspaper is being published constantly under what so ever situation of the country. Noor Jahan newspaper is no more being published. Yaqoob Rashid was the editor of Show Business which is no more being published. Filmi Log is no more being published. Following are the film magazines published previously their present status is mentioned against each. Shama is no more being published. Rooman is no more being published. Director is no more being published. Mussawar is no more being published. Tassawar is no more being published. 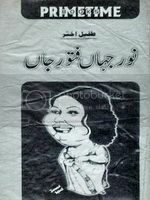 Mumtaz is no more being published. Basically it is X-rated film based magazine. Film Light is no more being published.. If name of any book, magazine or newspaper is missed and you know about it, please remind mpaop for its inclusion in the above list.